Our Borneo internship program yesterday brought our Divemaster interns to a deep dive workshop with PADI IDC Staff Instructor Liz Street in the calm waters of Tunku Abdul Rahman Park, Sabah. Experience in deep diving and learning the techniques involved is a must before the candidates can complete their course. 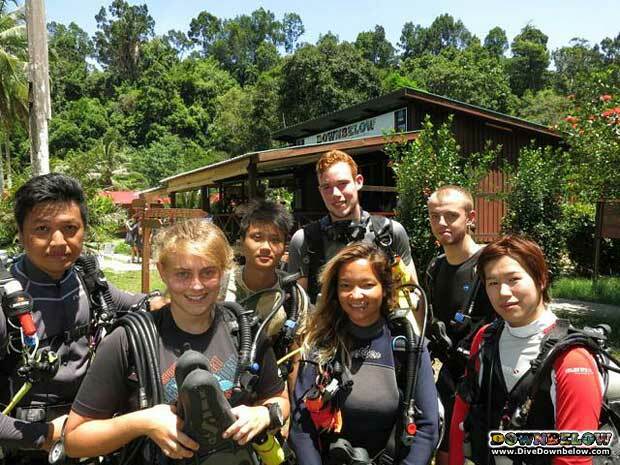 This is because when they finally work as fully-fledged Divemasters, they will themselves sooner or later be assisting an instructor who will be teaching student the PADI Deep Diver elective dive or speciality course. To conduct these dives safely, you need the right skills and the right knowledge and our interns experience plenty of that! Also participating in the workshop is our latest PADI IDC candidate Kaman Ng who is gaining some additional experience before the IDC starts at the end of the month.